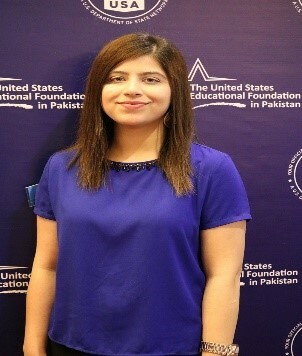 14.7% Rise in Pakistani Students Studying in the U.S.
Over 260 students eager to take their first steps to acquiring a U.S. degree and immersing themselves in an American college experience attended pre-departure orientation (PDO) sessions hosted by EducationUSA at the United States Educational Foundation in Pakistan (USEFP) in Islamabad, Lahore and Karachi over the month of June. The orientation session assists students in preparing for their move from Pakistan to the United States after being accepted to a U.S. university or college. Students and concerned parents, who joined the session, also gain useful information and tips on how to prepare for their upcoming academic, social, and cultural environment. Onwards and upwards: PDO participants at USEFP’s session in Lahore earlier this year. These Pakistani students join over 1 million international students who have chosen U.S. academic institutions as their preferred destination for higher studies. According to the Open Doors Report, the number of Pakistanis studying in the United States for the 2015-2016 academic year also rose significantly, to 6,141, an increase of 14.7 percent over the previous year. “I hope you will prove yourselves as great ambassadors of Pakistan, and become a role model to our youth by returning and serving your home country,” said Fulbright Outreach and EducationUSA Advising, Mr. Umair Khan. EdUSA Pakistan’s Advising Manager, Umair Khan, congratulated the students on receiving positive responses from U.S. colleges and universities. “You have achieved a milestone by getting accepted into a U.S. academic institution. Your focus should now be to gain knowledge, learn about different cultures, face challenges with a positive attitude and make the most out of this educational experience,” he said. 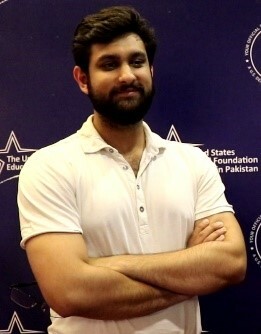 Clark University alumnus, Hamza Hussain answered queries from students and parents about U.S. colleges and universities. “I hope you will prove yourselves as great ambassadors of Pakistan, and become a role model to our youth by returning and serving your home country,” added Mr. Khan. Prospective students had a unique opportunity to network with their fellow colleagues travelling to the U.S., and participated in small breakout sessions led by EdUSA Advisers and F-1 Alumni (who had previously attend U.S. colleges and universities on a self-financing basis). The alumni used these sessions to share their professional achievements post-graduation. “I think the biggest advantage of having a U.S. degree is that it gives you the ability to think critically and analytically,” said F-1 alumnus, Hamza Hussain who graduated from Clark University. “My university’s motto was ‘challenge convention, change our world’ and I think that stuck with me for a while. This has led me to work on startups in Pakistan and is a way for me to contribute back to my country,” he said. Conversely, Maria Shoaib, who attended the Rochester Institute of Technology, on a Fulbright scholarship relayed the importance of the holistic graduate school experience. “I think it is not mainly about just the degree but overall experience and exposure that you get in the U.S.,” she said. “I think it’s not mainly just about the degree but overall experience and exposure that you get in the U.S.,” commented, Fulbright alumna, Maria Shoaib. Also, I would like to highlight the importance of research, lab work, internships that I pursued in the U.S., and how they have helped shape my professional and personal life, and made me the person I am today,” she added. Representation from the Public Affairs Section of the U.S. Embassy and Consulate was an integral part of the event, and a palpable sense of excitement and anticipation prevailed as students planned and discussed their journey forward. 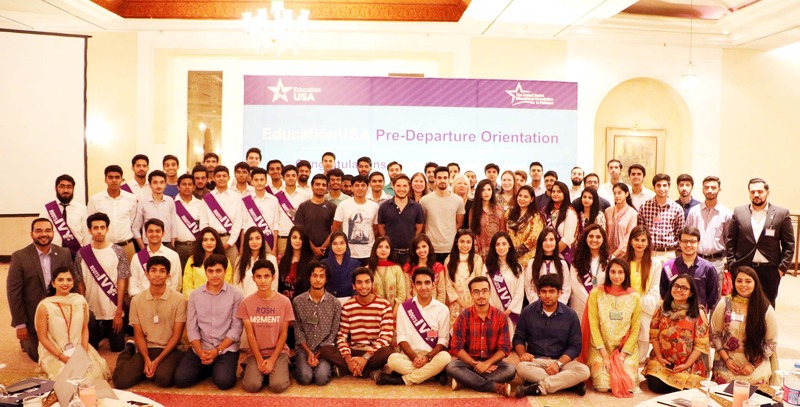 Many of the students who participated in the orientation session had taken advantage of EducationUSA Pakistan’s free educational advising services while researching prospective U.S. colleges and universities. To view a video recap of this year’s PDO, click here. The EducationUSA Advising Centers hosted by the USEFP are part of a global network of around 450 Advising Centers in more than 170 countries across the world. Advisers assist students with: 1) researching choices and preparing for standardized tests, 2) applying and securing admission, 3) financing education, 4) preparing for and securing the U.S. student visa, and 5) getting ready to go! To register for free EdUSA Advising services, register here.